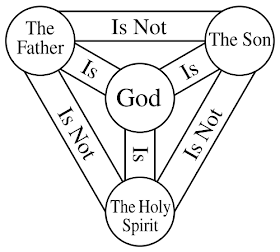 Many times when I discuss Christianity, those of other faiths get tripped up in the idea of a triune God. Skeptics claim the concept of God being three-in-one is a clear sign of the confusion that early Christians had in trying to elevate Jesus to deity while still maintaining a Jewish monotheism. Others, such as Jehovah's Witnesses, simply think that it is contradictory to claim God is both three and one at the same time. However, if you think hard about God and what He entails, you may soon see that the trinity actually solves more problems than it creates. I doubt that Winnie the Pooh will ever make a list of great theologians, but I think his advice is sound in this question. When we begin to discuss concepts of God, we should at least start with identifying some of the attributes we would agree He would possess. According to Anselm, God is a being "which nothing greater can be conceived. "2 In other words, God has no limitations and no need for help. He is all-knowing (omniscience), all-powerful (omnipotent), all-loving (omnibenevolent), and requires nothing or no one else in His existence. This last attribute is referred to as aseity in theological circles, and most philosophers agree that God could not be God if He had to rely on something other than Himself. But we get to an interesting conundrum here. If God is all-loving, who did He love before He enacted creation? The Bible tells us that God is love, yet how can this be if He exists apart from anything else? St. Augustine raised a similar question. He wrote that when he thinks of himself as expressing love "there are three things concerned—myself, and that which I love, and love itself. For I do not love love, except I love a lover; for there is no love where nothing is loved. Therefore there are three things— he who loves, and that which is loved, and love." 3 So, Augustine says there must be a lover, a beloved, and the relationship of love that exists between the two. This would place a God who is described as love in a pickle. It would mean that God could not be all loving until He created someone or something to be loved. But if God needs to create something to "become" love, then does that mean God must rely on His creation before He can exercise that attribute? Does this call God's Aseity into question? However, if God exists as three persons on one being, then God can show love within those three persons without the need for any external thing. The Father can love the Son and the very existence of a triune being means that God is love becomes definitively true. Thus, in a Trinity, God's all-loving attribute is preserved. Beyond God's lovingness, there are other attributes that a Trinity makes possible. God can be a relational being from all eternity, since relationship has always existed within Him. God can have humility. Philippians 2:6-7 states that Jesus "Who, being in the form of God, thought it not robbery to be equal with God but made himself of no reputation, and took upon him the form of a servant, and was made in the likeness of men." Jesus expressed humility in his incarnation. He also acquiesced to the will of the Father (Luke 22:42). So, when we say that people should exhibit humility, we are saying that people should imitate God's nature. Because God is triune, He can exhibit things like love and humility within Himself. They are not things that God chooses to be, but are part of His very being. This is a crucial difference between the Christian understanding of God and all others. When talking with those of other faiths, it is fair to ask how they can understand God to be without need of anyone or anything. 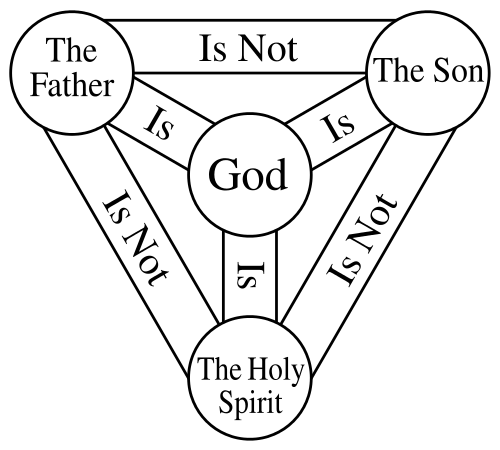 Without a Trinity, God becomes something less than what we understand Him to be. 1. Powers, Joan. Pooh's Little Instruction Book. (New York: Dutton Children's Books, 1995). RE: "According to Anselm, God is a being "which nothing greater can be conceived. "2 In other words, God has no limitations and no need for help." I can think of a greater god than the Bible god... one that doesn't need to rest after 6 days of creation. I would rather choose a god that I can't fully comprehend than the one that I fully understand. Because if that's so, that god is no greater than me. My God is all-powerful because He can choose what to hide and what to reveal. I can easily imagine a stronger god than one that needed to rest after only 6 days of creation. I imagine that some Gods could go on creating for another day or millions of days. This is a simple argument to show how the ontological argument disproves the god of the Bible. That's because the ontological argument is for "the philosopher's god" not for "the Bible god." I wanted to go to the store today. Bill didn't want to. Clearly Bill is a greater being. LOL. God "rested" to be an example for us. God doesn't need rest, as we perceive the idea of rest, but humans do. We need to rest and appreciate His Creation, and we need to rest in Him. We need to "rest", be at peace, and be content. God actually never rests, as you may want to take that word, He is forever creating,forever orchestrating life. I can see where the passage (Gen 2:2-3) mention God and the "fact of" rest. What I cannot seem to get from the passage is a "need" as you suggested. How did you come to the conclusion that the rest taken was out of need instead of want? Thanks for your insight on this. Bernie, where does it say that God "needed" to rest after creation? That He "ceased to work" (Sabbath) from creation does not mean that He stopped all work. In fact Scripture teaches that He continues to preserve and maintain creation i.e., He sends the sun and the rain, He causes the crops to grow, etc. Have you considered the alternatives to reading Philippians 2:6-7? It seems that your whole argument is based on that verse, which can be read two very different ways. The rest of the argument is based upon non-biblical reasoning, which should not necessarily be dismissed. However, I care more to hear your thoughts about the Louw-Nida lexicon. This is an extract from an interesting article.